Maxwell’s adds Bern & The Brights, Val Emmich to final schedule | Will You Miss Me When I'm Gone? Bern and The Brights and Val Emmich are the latest acts to join the schedule in Maxwell’s final days. They’re playing Monday, July 29. 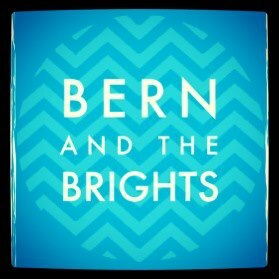 Bern & The Brights is a Montclair-based nerd-rock trio made up of Bernadette Malavarca, Catherine McGowan and Shawn Fafara. It’s a independent band that Tris McCall of The Star-Ledger recently called “the sort of act that is likely to be hurt by the closing” of Maxwell’s. You may know Emmich best from his acting on “30 Rock” or “Ugly Betty.” But he’s also a Manalapan, N.J., native who has had an extensive career as a singer-songwriter. For more information about the acts, click or tap here (http://ticketf.ly/12LqzXz). Click or tap here (http://ticketf.ly/1bpawrN) for tickets. which are $10. Door time is 8 p.m., with the music scheduled to start at 8:30. This entry was posted in Concerts, Music, News, Pop and Rock and tagged Bern & The Brights, Hoboken, Maxwell's, Val Emmich. Bookmark the permalink.